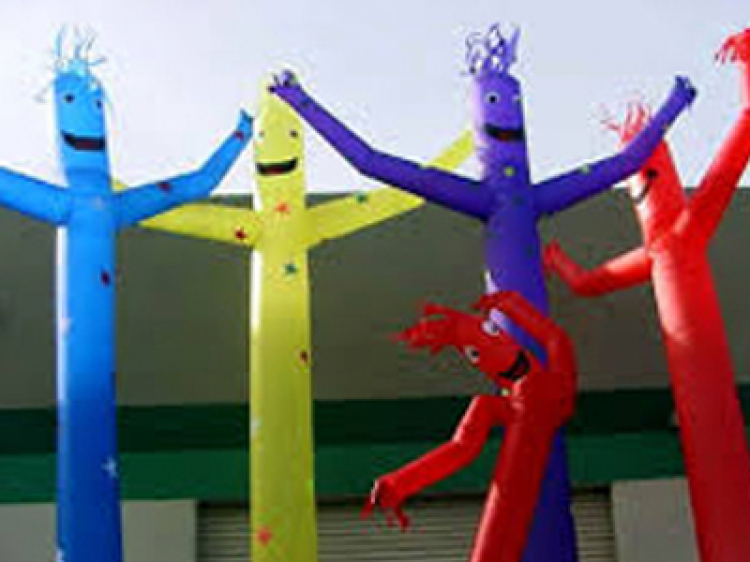 Charlotte Party Rentals Air Dancers will put life into your event! These large colorful sky dancers are what you need for your next company grand opening, school carnival or church festival. The sky high air dancers are 20’ high, which are great for grabbing everyone’s attention. Other Fee: When renting this items only, there is an $95 Delivery Fee, if not rented with Tents or Inflatables.